Bodybuilding and Gaining Muscle Mass on a Vegan Diet – It IS Possible! It is certainly possible and I have the physique and strength to prove what I am talking about and all from a 100% Vegan Diet. In this article I would like to explain how the common myth about vegan diets and bodybuilding started how it is true and how it can be worked around so that strong muscular bodies can be built without eating animals. There is no way that a vegan diet will ever put on the weight you can gain with a half-pounder in one hand and a chili dog in the other! I heard this all the time from my meat consuming friends and it is very true. I don’t hear this as much as any more because now I have the strength to prove otherwise and I can pelt them with carrot sticks if they argue. Seriously though, I gave up eating my animal friends for ethical reasons and after slowly giving up beef and pork moved on to giving up chicken and fish soon after, ten years later I am healthier and happier for it. Although I believe a Vegan diet is healthier, I personally live a life of intense physical demands both from myself and my work in heavy construction and male modeling. All this to say, the more intense your lifestyle the tighter your dietary plan must be. The first thing most people will ask is if I am getting enough protein and from where? Many vegans with the physical condition of defrosted lettuce seem to think that protein is not so important after all. One guy told me that protein only made up about 5% of his daily diet, I didn’t catch the rest of what he said because a stiff wind carried him off like a paper bag. Another guy told me he can get all the protein he needs from a cucumber, I died laughing. The fact of the matter is that morally right or wrong eating meat is a part of what makes us humans humans. We can’t expect to have the strength of a gorilla on the same diet anymore. So if we want to take on the vegan diet we are going to have to get our proteins and oils and fats somewhere. If you are eating only 5% protein you really can’t expect to grow that much. How Much Protein does a vegan need in their Diet ? Of course, eating 2 grams of protein for each pound of body weight is just excessive. For athletes and those leading an active life. 0.7 grams of protein to each pound of body weight is more than enough, in other words, someone weighing 180 lbs. would do just fine eating 100 to 120 grams of protein, If you hope to grow any kick it up to 150-160 grams of protein. 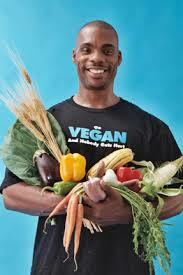 The best Vegan Sources of Proteins come from legumes, like beans and peas and lentils and their kind. Like I said these don’t contain as high a quantity of proteins as meats and cheeses so they do need to be planned into your diet. Nuts, raisins and prunes are also a good source of proteins. I myself have gotten into the habit of making a couple hundred nut bars a weekend to last me through quick snacks and munchy attacks. Soy milkshakes will be your best friend with more than 80 grams of protein in a cup you will have all you need in just a meal or two. Be sure you also eat plenty of natural oils and fats; avocados, prunes and lots and lots of nuts will do just fine. Then don’t forget to hit the gym muscles don’t build themselves ya’ know.